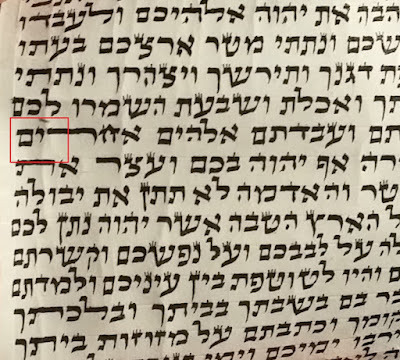 Someone emailed me this picture, it looks like he tav was repaired very crudely, by either the sofer or a subsequent magiha. We know the mikdash me'at is very meikel by a case where the left regel of the tov comes out of the MIDDLE of the gug, and in the sefer ksivah tamah he is machshir cases even worse than this, based on the mikdash me'at. I felt that while very ugly, the tzurah is still kosher. I showed it to a local Rav who ruled the same. Obviously it should be fixed properly and a bit of the gug should be removed to allow proper spacing between words. Obviously we are talking about a basic mezuzah here, nothing begeder mehudar. the picture isnt 100% clear - but seems to be kosher bdieved as is. again - if there would be a better image, maybe it is a shaylas tinok on the tzuras ois, but according to what I see it looks bdieved acceptable. 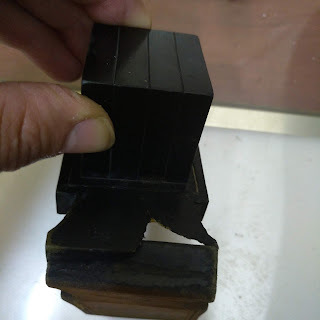 I showed it to rabbi Roth who said even though the photo is a drop blurry, its kosher on the basis that it has a gug going all the way across and a right regel and a left regel which has the proper blitah of a tov. It is very ugly though, agree with you on that. Did you add the circle electronically or did you put it in with pencil? If it's pencil you have another problem. How do you plan on removing it? It doesn't look like one of the Osiyos. It looks like some random symbol, with a little spike on top. Nachman's comment about pencil is significant. It's Chok Tochos to "remove" it. 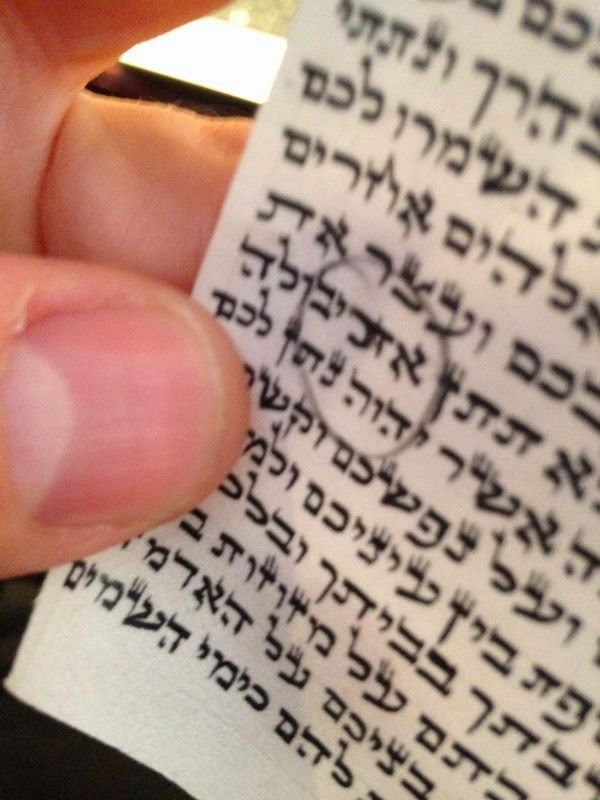 While the tav make be kosher (The angle makes it hard to see) the pencil marking likely passuls the mezuzah. 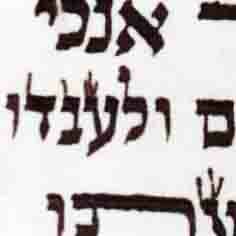 I would like to comment on the simon made by the magia.. it goes right through the shaim(not the ideal situation). One has to be careful with pencil marks they can also pasul.